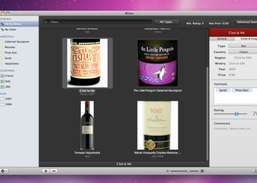 Wines, an app for wine lovers, collectors or enthusiasts. Can't remember the name of that wine you tasted a couple of months ago? With Wines, it won't happen again! Add it to your collection, take notes, rate it and more! 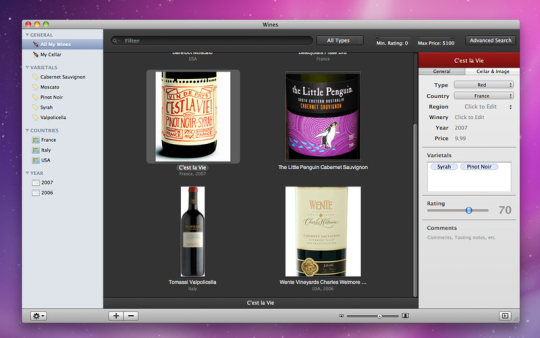 And if you have a home cellar, Wines is perfect for you as it lets you track which wines you have right now in your cellar, the number of bottles you have left, where they are located and more!If you have any feature requests please let me know and I will do my best to integrate them in Wines!